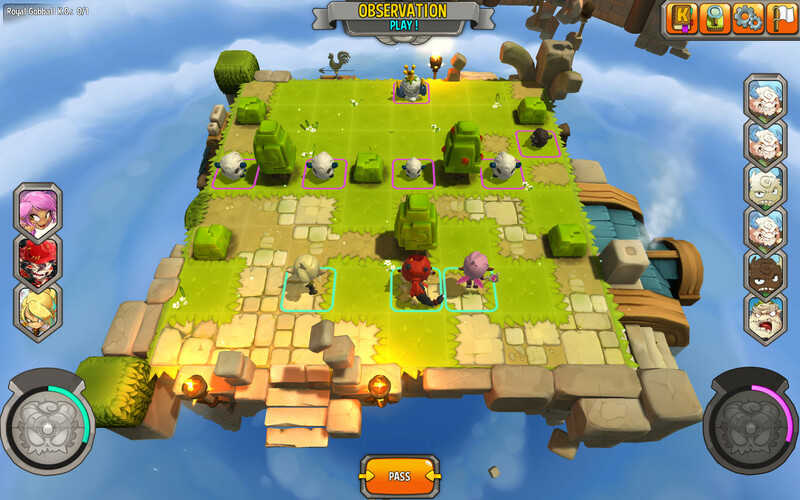 Krosmaster Arena is a digital implementation of a physical tactical skirmish board game produced by Ankama Games. The original physical version of the game utilizes actual miniature figurines. Ankama Games is also known for other popular anime themed titles such as Wakfu and Dofus. 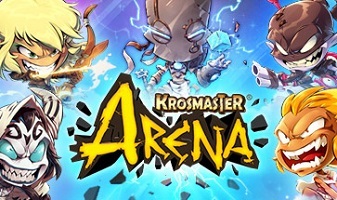 In Krosmaster Arena players select a team of virtual miniatures each with unique attributes and stats and put them up against another player's (or ai's) team. The object is to first place your combatants strategically, based on their initiative and movement capabilities, and then take turns positioning them and attacking your opponents team members. Other factors come into play such as power-ups, and the player to eliminate the other's team first wins. The game play has been compared to such games as Final Fantasy Tactics and Disgaea. Besides online multiplayer battles, the game also features a single player campaign mode against ai that sort of plays out like a puzzle game. The game is currently available for Windows via Steam, but is also under development for mobile platforms such as iOS and Android. The game is free to play, and playing single and multiplayer games earns in game currency that can be used to buy virtual "boxes" of random figurines to add to your collection for using in games, similar to buying card packs in tactical card games. Additionally packs of character figurines can be purchased on Steam in dlc packs, that average $14.99 in price. This model also seems to be similar to what you would see in free to play tactical card games such as Hearthstone or Magic Duels.